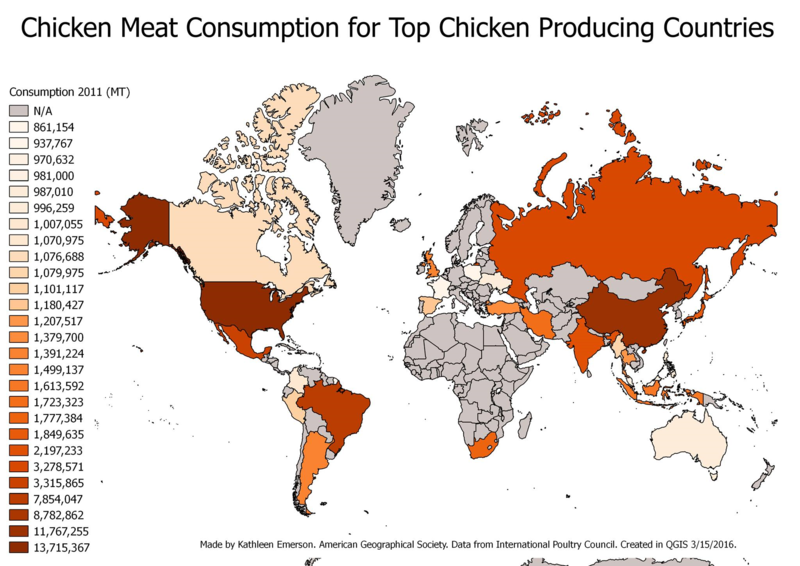 In honor of National Poultry day this year (March 19th) we’ve gathered some interesting facts and put together some cool maps for you to keep the holiday in thought this weekend. Poultry are domesticated birds kept by humans for the purpose of producing eggs, meat, and/or feathers. The category consists of: chicken, turkey, ducks, geese, quail and pheasant. Poultry comes from the French/ Norman word, poule, itself derived from the Latin word Pullus, which means small animal. It is believed that chicken was introduced to American soil by the European explorers in the 16th century. 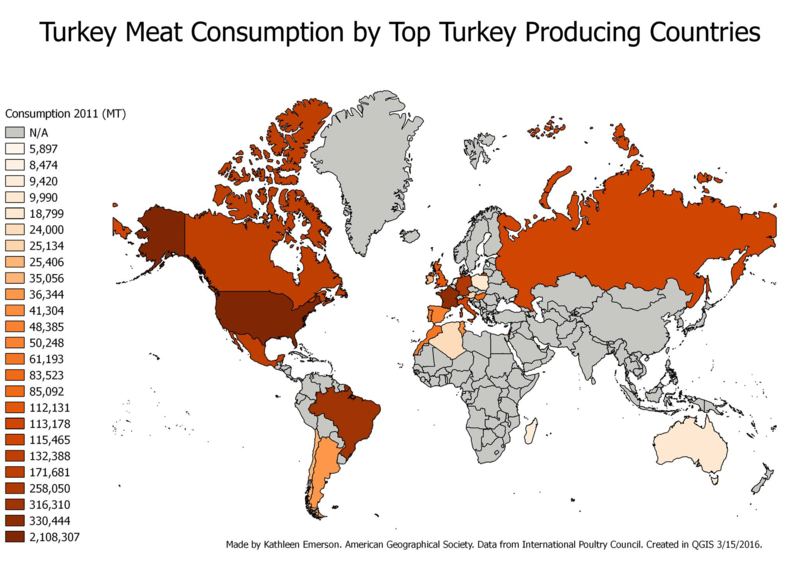 Chicken consumption in the United States increased during World War II due to a shortage of beef and pork. The Food and Drug Administration (FDA) oversees the poultry production in the United States and it’s estimated that around 9 billion chickens are raised in the U.S. yearly. Poultry can be cooked in many different ways, some including; roasting, baking, frying, grilling, sautéing, steaming and broasting. 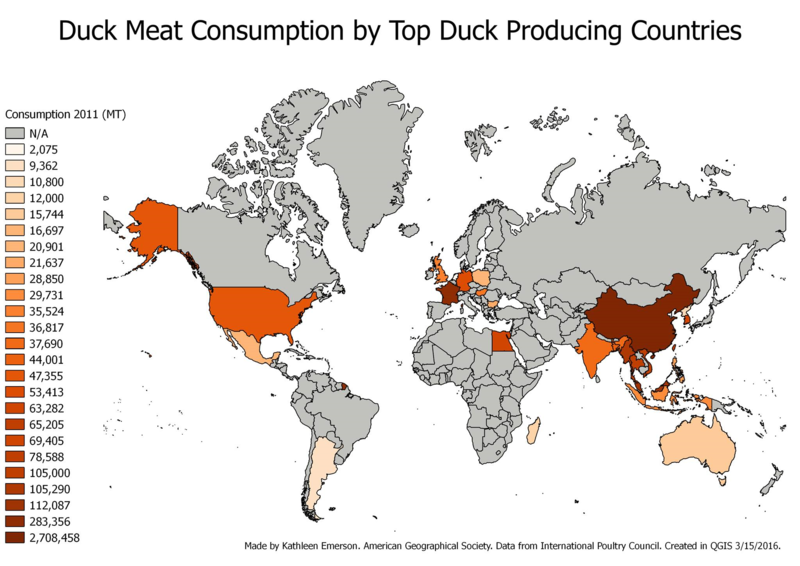 Poultry is the second most widely eaten meat in the world, accounting for about 30% of meat production worldwide, after pork at 38%. In Ancient China, a goose was given as a wedding present to represent faithfulness. The oldest duck ever to have lived in the United Kingdom was a female mallard duck called Desi owned by Ingrid Raphael from Maidenhead, Berkshire, UK that lived to be 20 years 3 months and 16 days old before she died in August 2002. Chickens and other birds are thought to have descended from dinosaurs. Check out our maps below!